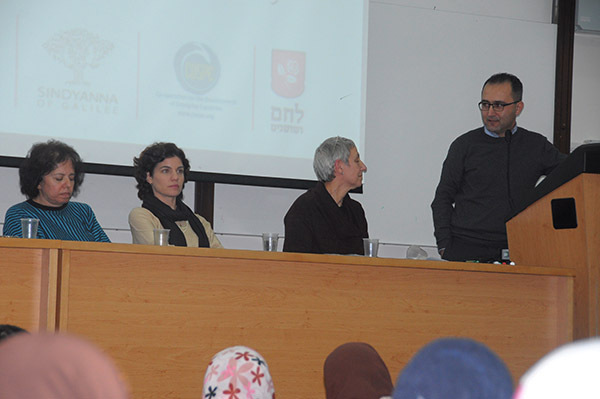 On Sunday, December 22, 2013, the conference for the integration of Arab women in the workforce was held at the Tel-Aviv University under the title “Fair Trade, Fair Employment”. 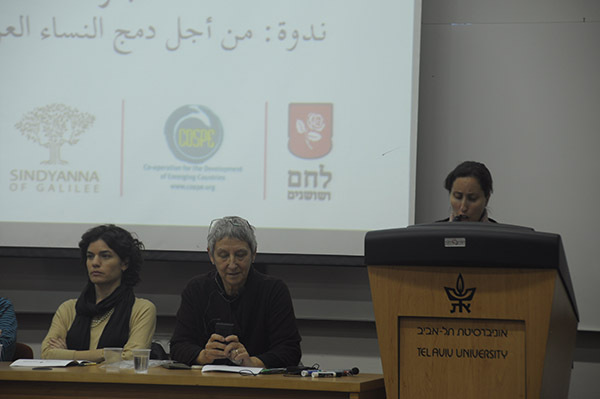 The conference was an initiative of the Sindyanna of Galilee Fair Trade Association, Independent Union Center Ma’an, the Bread and Roses art exhibition, and Italian NGO Cospe, within the EU-funded “Fair Trade Fair Peace” project. 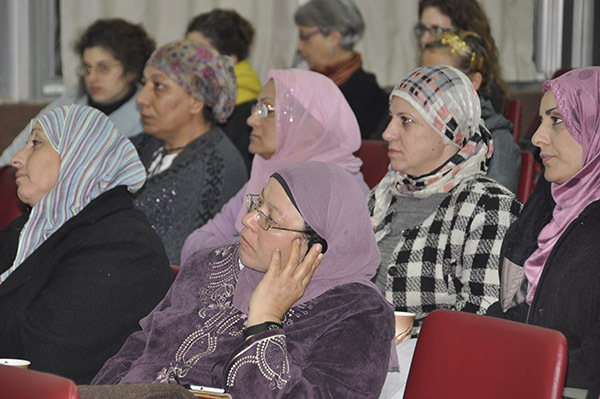 Tens of agricultural workers from the Arab Triangle region, women active at the Sindyanna of Galilee visitors’ center in Kufr Manda, Tel-Avivis, and Jaffans attended. 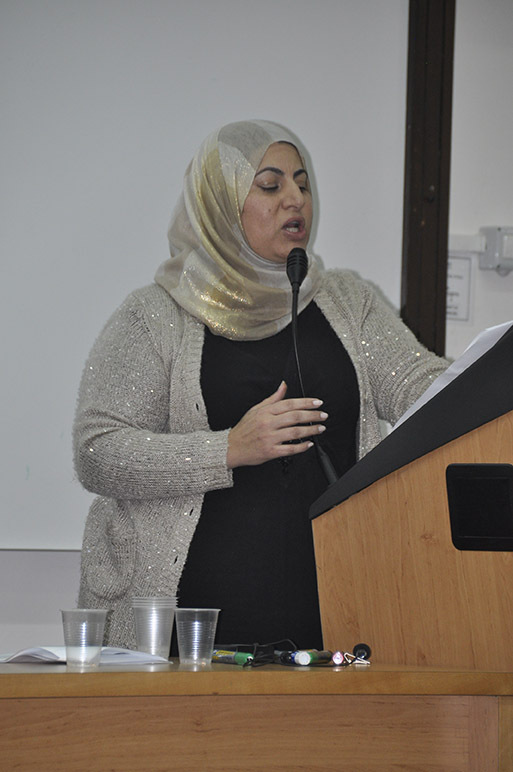 The reason the conference was held was the predicament of Arab women in Israel, at least 75% of whom are outside the workforce and have no wages, causing deepening poverty in 60% of the Arab population. The conference’s objective is to influence Israeli public opinion, and through it policy makers, to stop talking about the need to solve the problem of employment and idleness among Arab women and start doing something to help them out of poverty and unemployment. 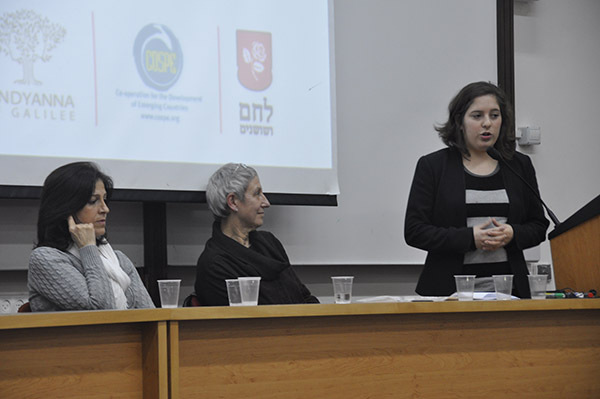 The evening was hosted by Michal Shwartz, who explained the rationale for Ma’an’s project: “Because we have no faith in the current right-wing government’s willingness to invest in solving the unemployment and welfare problems facing Arab women, we demand that the government stop – that is, stop the shameful importation of Thai laborers into Israel, preventing Arab women from being integrated in agricultural work. This is shown by the Ma’an project for Arab women’s integration in agriculture, which has been operating for 8 years now, succeeding at integrating about 250 women a year in temporary positions. The first speaker was Nitsa Kaliner Kasir, head of the Labor and Labor Policy Division at the Bank of Israel’s Research Department, who co-edited the report on “Arab Women in the Israeli Labor Market: Characteristics and Policy Proposals” together with Prof. Eran Yashiv, head of the Public Policy Department at Tel-Aviv University. 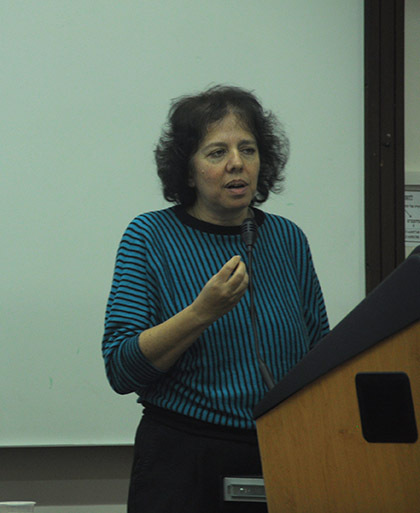 “Israel has two economies, only partially integrated with one another,” Kasir said: “An undeveloped Arab economy alongside a developed Jewish economy.” She confirmed that “the source of poverty rates is mostly difficulty in the labor market. Children are forced to go out and help with the family’s sustenance. They don’t reach higher education. This creates the ‘poverty trap,’ which affects the future.” She pointed out that Arab men exit the workforce early, pushing ever more women today to enter the labor market, and that the integration in the workforce for women with an education and modern characteristics (9.2% of women) is as high as 75.4%, as opposed to women without a higher education and with traditional characteristics (19%) whose integration rate is only at 1%. As recommendations to improve the situation, Kasir suggested a series of moves the government must take, such as expanding education subsidies, expanding vocational training, raising the level of education and skills; reducing the costs of going out to work; changing societal norms regarding women going out to work; physically improving transportation and accessibility to workplaces; legislation to prevent discrimination against Arabs in employment; stopping the importation of foreign laborers for agriculture – implementing the government decision regarding increased enforcement on employment of illegal laborers. The second speaker on the panel was Ziyad Abou Habla, accountant, economist, CEO of the Economic Council for Arab Sector Development, doctoral candidate at the School of Public Policy, Tel-Aviv University, and head of the Local Government Transparency Section. At the start of his talk, he addressed the National Insurance Institute’s latest poverty report, which shows a poverty rating almost double that of the OECD (19% versus 11%.) He emphasized that two thirds of Arab families have lived in poverty as of two or three generations already, and there are no serious efforts to get them out of there. He emphasized that the Arabs’ low employment rating is not the result of tradition, and that the Arabs’ contribution to the national economy is only 8%. The potential loss from this is 31 billion Shekel (! ), equal to the national deficit. Abou Habla criticized the Arab municipal governments, which have the responsibility of taking initiative, and not only cleaning streets. About education in the Arab sector, directly related to employment, he said: “the Arab education system is rotten, inflicted with outside political considerations” and pointed out that the curriculum does not meet the needs of higher education, there is a high rate of ninth-grade dropouts, and matriculation rates are low. “The Arab population’s human capital has to be changed, but this demands a change in the education system,” he said. 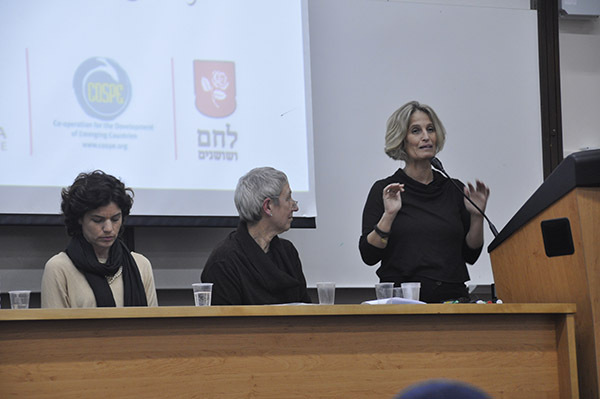 Tali Heruti-Sover, writer and editor at economic newspaper TheMarker, claimed that the main barrier to integrating Arabs in the Israeli labor market comes from ignorance of the Hebrew language and the Arab-sector schools teaching in Arabic. She suggested teaching in Hebrew at Arab-sector schools and adding entrepreneurship classes, and support and guidance for opening a business. 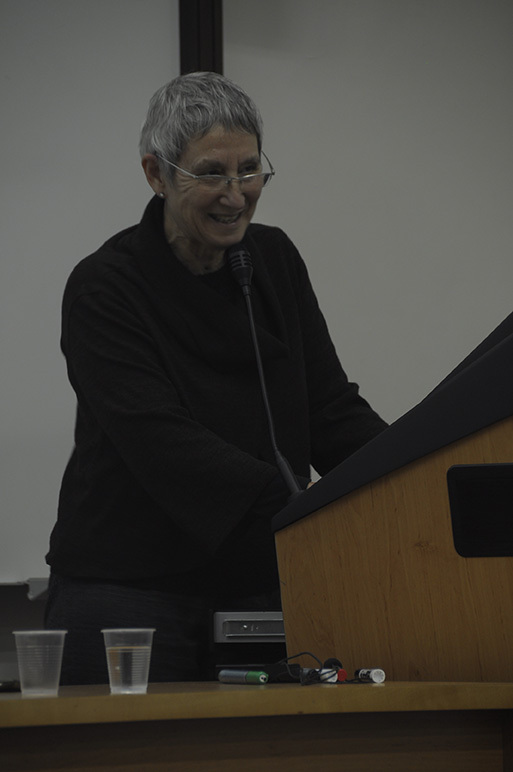 Her talk received lively responses from the audience. 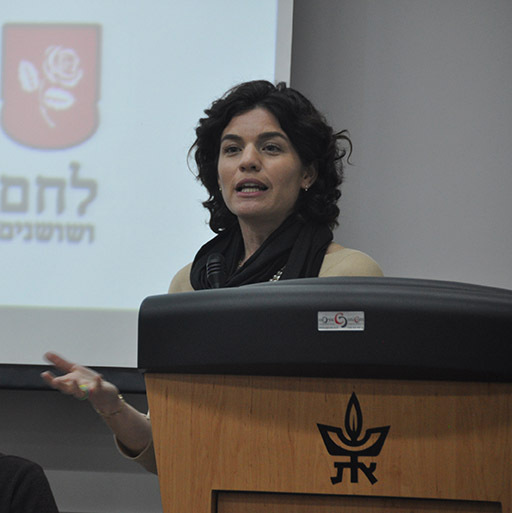 Last on the first panel was Knesset Member Tamar Zandberg of Meretz, who also spoke at Ma’an’s women’s convention in 2011 in Baqa al-Gharbiyyeh. Zandberg expressed her exasperation at the government’s policy. “Ma’an is doing the obvious, and still they do nothing. You tell the government, here is a field, and here are the women who want to work it, and still somehow it does not happen. You could call it discrimination, even racism! 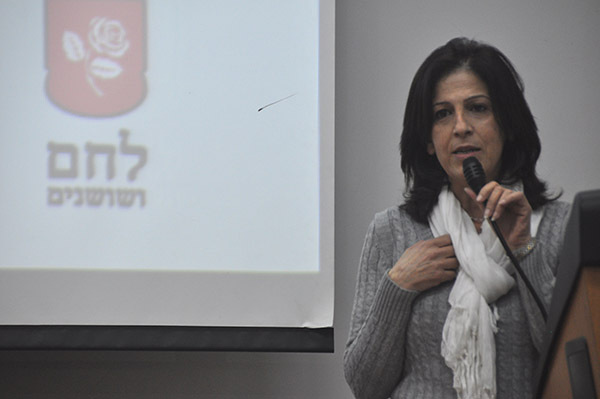 On the one hand, there are women here who are wiling to work in agriculture for minimum wage, and there is no work for them, while the government continues importing foreign laborers and imprisoning immigrants on the premise that ‘charity begins at home’.” She proposed to promote Ma’ans project in Knesset, and invite Ma’an speakers to the Knesset Committee on the Status of Women. The final speaker was Sari Golan Sarig, artist, curator, lecturer, and social activist, who touched the hearts of the agricultural workers, expressing her appreciation for the working Arab women.